Packed with everything from an FDA-cleared EKG reader to an assortment of smart fitness tracking tools, the Apple Watch Series 4 is currently the toast of the health-conscious wearables world. But there are plenty of other, more experimental wellness wearables out there — able to do everything from take blood to monitoring how much UV light we soak up. Here are some of the most intriguing. Did you recently find yourself in front of your computer at some ungodly hour, maxing out your credit card buying multiples of every new Apple device. There are two possible options: Either you’re a massive fan with a whole lot of disposable income or you were very drunk. 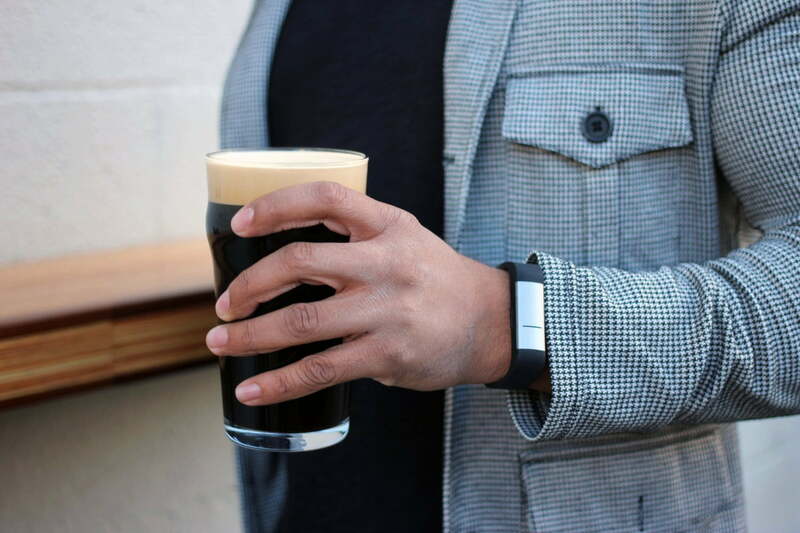 If it’s the latter, you might want the join the line for alcohol-monitoring wearable created by Milo Sensors. Called Proof, it’s a wearable device that will tell you when you’ve had too much to drink — like a Fitbit that tells you to ease up on the booze. It does this by tracking the alcohol molecules present in the skin. While it’s not available to buy just yet, according to its creators it will be capable of measuring intoxication levels far more rapidly than a regular breathalyzer. No, it’s not some kind of medieval monastic device to remind you about human suffering. Instead, this eMosquito wearable pierces your skin at regular intervals to take and analyze blood samples. Created by researchers at Canada’s University of Calgary, it’s intended as a wearable for diabetes sufferers — which will mean the wearer no longer has to stop and think about pricking their finger for a blood sample. It’s still a work in progress, but in the future the team hopes it might also prove valuable for carrying out other tests, too, such as genetic testing or cancer screening. If you’re the kind of rugged individuals who prefers their smart, health-tracking wearable to come in the form a tattoo instead of a smartwatch, the folks at San Francisco-based LogicInk have you covered. 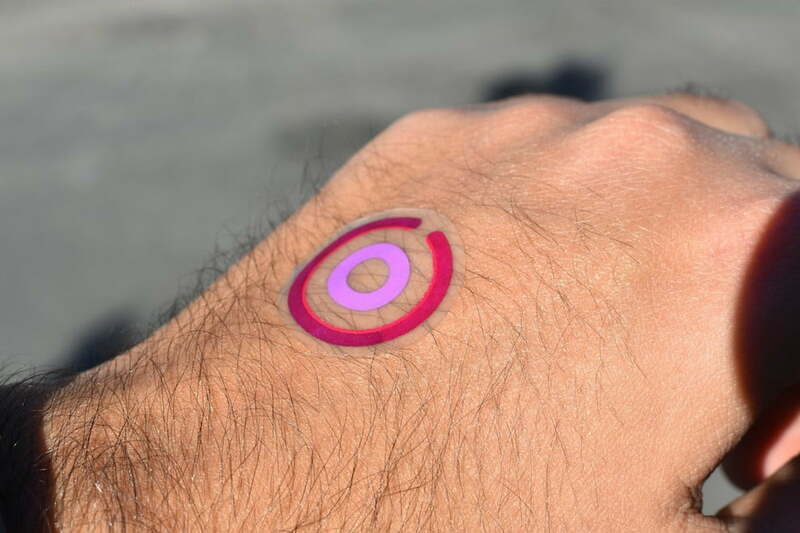 They have developed a smart temporary tattoo, worn on the skin, which changes color as it’s exposed to sunlight. The tattoo features a design consisting of three concentric rings, created from proprietary inks, which gradually transitions from white to purple. When all three have gone purple, wearers know they’ve reached their daily UV limit. LogicInk aren’t the only people making smart health-tracking wearables in the form of tattoos. Researchers at Harvard and the Massachusetts Institute of Technology have developed Dermal Abyss, a system of biosensitive inks which change color with changes in the body. These inks can effectively measure the concentration of glucose, sodium, and pH in the skin’s interstitial fluid, which surrounds cells. The idea of tattoos to measure internal health is still at a relatively early stage, but it could be an immensely helpful (and non-invasive) way of offering up early warnings signs about changes in a person’s health. The new Apple Watch is capable of telling when a person has fallen down and calling for help. But a wearable device created by researchers at Spain’s Universitat Politècnica de València aims to make sure that they don’t fall down to begin with. Called FallSkip, it’s a custom smart waistband which works in conjunction with a mobile app. By analyzing a person’s balance and gait patterns, coordination, reaction time, and muscle strength using an in-built accelerometer and gyroscope, it awards a score indicating a person’s chances of falling in the near future. The team hopes that the wearable will one day be a standard tool in every physician’s clinic to help optimize care for the growing elderly population. Unlike some of the other projects on this list, this one isn’t so much a new wearable device as it is a new medical application for an existing one — in this case, Google’s ill-fated Google Glass. 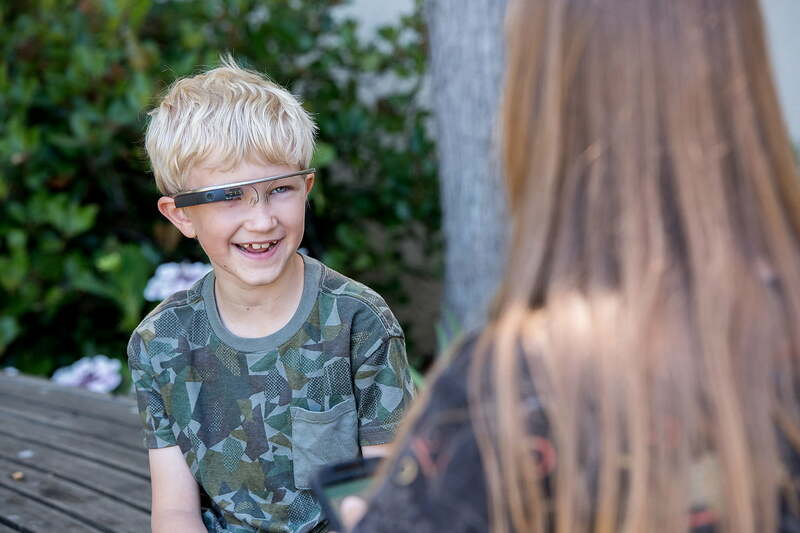 At Stanford University, researchers have been investigating ways that Google’s headset could be used by people with autism to identify the expression displayed by the people they are interacting with. This is something that those on the autistic spectrum can have particular difficulty with. It’s not meant to be used in all social situations, but rather as a training tool at home, with users matching up emojis to acted-out emotions on the part of a parent or caregiver. It can also help to promote eye contact. Whether it’s keeping track of how many steps we take or monitoring our heart rate, today’s mainstream wearables can monitor plenty of information about ourselves. But what about the world around us? An intriguing device called the PocketLab Air promises to keep everyone informed about the levels of carbon dioxide and ozone, particulate matter, temperature, humidity, barometric pressure, altitude, dew point, heat index, and light intensity in their area. This can then be shared to create a crowdsourced information map, potentially prompting changes in our individual behavior (where we go), but also bigger changes — like collecting the data that could show schools that they might consider creating a “no-idling zone” to protect the health of their students. Strictly speaking, this is more of a “carryable” than a wearable, but we’re counting it since the whole idea is that you take it with you wherever you go!